High fibre. Low in salt. 100% wholegrain wheat. Suitable for vegetarians.Chocolicious! 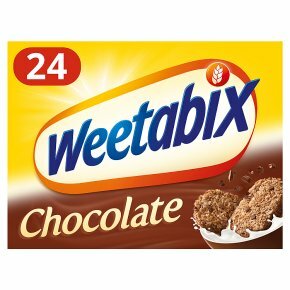 Weetabix with Chocolate is packed with 100% Wholegrain, is high in fibre and bursting with real chocolate chips. Top it with bananas which are a source of potassium to help you get ready for anything! Have you had yours?